There are a lot of reason people don't confront employees. You might make them sad. Another, less obvious reason is that it’s sometimes hard to know what you should just let slide. My general rule for management is that a team member SHOULD be giving three things: Attitude, Effort, and Results. Occasionally, they might falter in an area, have a bad week, or just blow it in one of those categories. In those cases they should still, at minimum, be giving me two of the three. A sales person might be going through a divorce and be a little grumpy in meetings. As long as their effort and results are still good, a TEMPORARY bad attitude might be o.k. It’s not useful for a manager to jump on every little thing every single time. You work with humans. You need to leave room for their humanity. But ignoring real problems has a corrosive and contagious effect that can quickly turn toxic. So how do you know what to confront and what to let slide? There are two different types of problems that occur in organizations. BREAKDOWNS are temporary problems, usually caused by unusual circumstances. Ex: Someone is late to a meeting because of a flat tire. ISSUES are major violations (sexual harassment, stealing, drug abuse) or patterns of behavior. Ex: Someone is frequently late to meetings. This is why the first level of confrontation I teach managers is to be CURIOUS. When something goes wrong, your first job is to figure out if you’re dealing with a BREAKDOWN or an ISSUE. So you’re CURIOUS when the person is late, not angry. You ASK what happened. Instead of yelling at them. if it’s an ongoing pattern of behavior, a consistent problem, a regular occurrence...an ISSUE. BREAKDOWNS should get a hall-pass. ISSUES need to be dealt with. It’s reasonable to end both conversations with a reaffirmation of what the expectation is and to ask for a commitment from them. *This is how you might address something small THE FIRST TIME. If you have to address an issue again, you’d escalate both the tone and content of the conversation. My technique is to be Curious the first time. The second time I am Confused. If a third conversation is required I am Concerned. At each step the tone is cooler and more formal. By the time we get to the third conversation we are talking about real consequences. Solid team members rarely require more than one conversation about an issue. Great managers are great, in part, because they are reasonable. They aren’t over or under-reacting. You don’t have to get angry. You don’t have to rant or rave. You DON’T HAVE TO PUNISH people with your tone or consequences. If you are professional and respectful and appropriate to the circumstance in front of you, you’ll find that people tend to thrive when someone provides real accountability. When managers ignore real ISSUES, people notice. More things slide. Frustration and resentment build. Your organization looks a little less professional and a little more Lord of the Flies. Be smarter. Don’t go crazy over a breakdown. But don't skip over problems. And DON'T ignore real ISSUES. 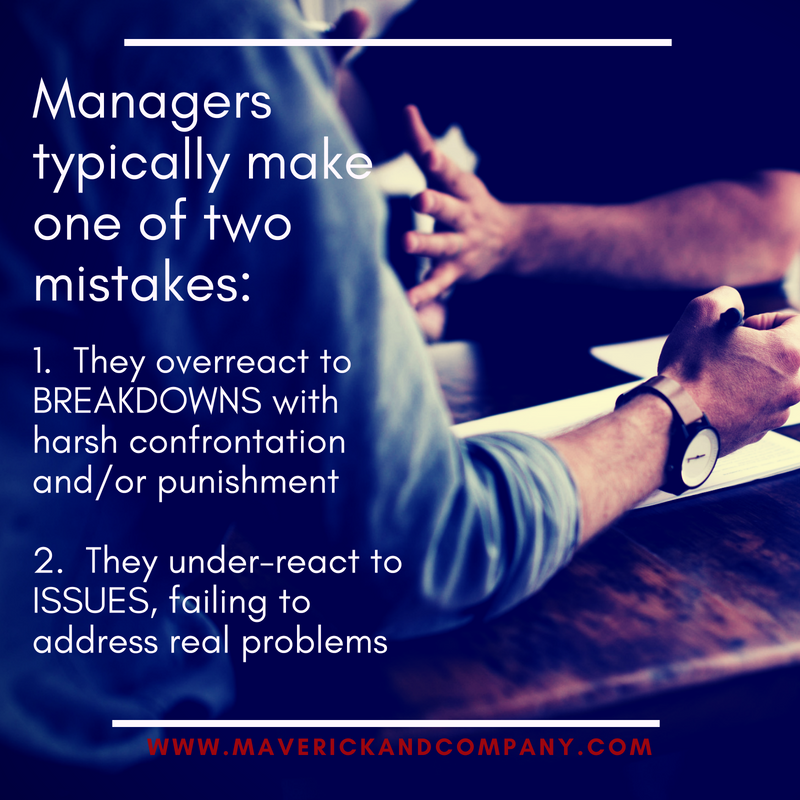 Your job as a manager is to DEAL with them. want more on confrontation & healthy accountability? Get the free, no-sign-up-just-give-me-the-damn-article-download HERE. Sometimes it IS them. But a lot of people problems are actually management failures. Learn how to tell the difference HERE. 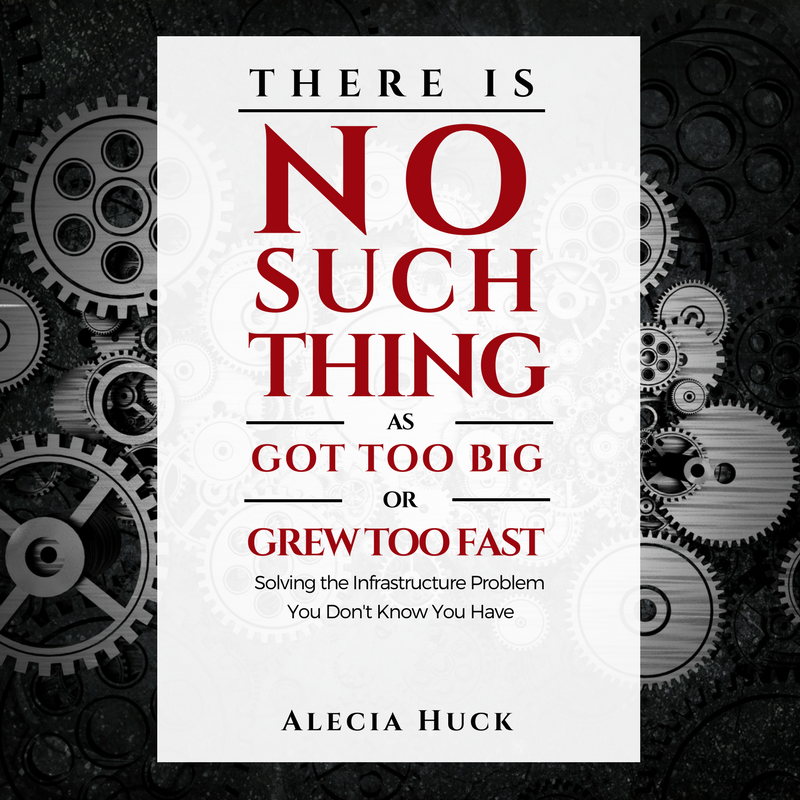 About the Author: Alecia Huck is basically a ninja. 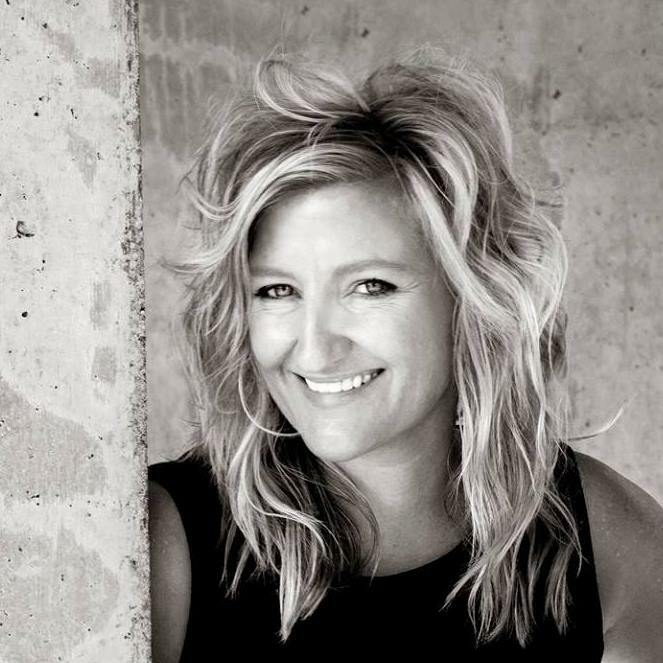 She specializes in working with fast-growth companies who need to learn the block & tackle skills of leadership; how to hold people accountable, run great meetings, keep track of people and work--the kind of tactical support that it is really hard to win without.